Your Money & Your Brain - IFA Vintage and Current Book Library - Index Fund Advisors, Inc.
Notes: What happens inside our brains when we think about money? Quite a lot, actually, and some of it isn't good for our financial health. In Your Money and Your Brain, Jason Zweig explains why smart people make stupid financial decisions -- and what they can do to avoid these mistakes. 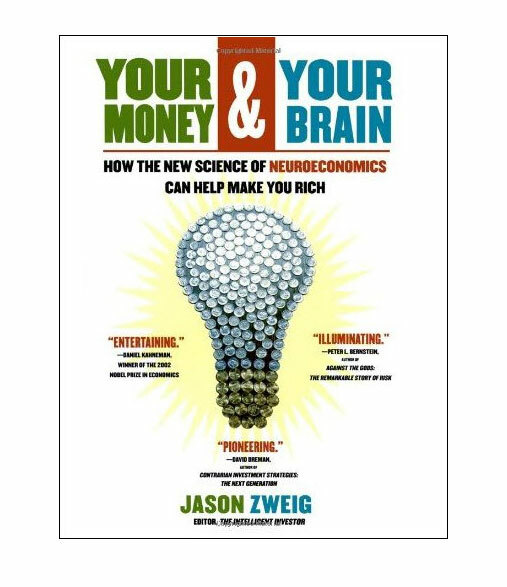 Zweig, a veteran financial journalist, draws on the latest research in neuroeconomics, a fascinating new discipline that combines psychology, neuroscience, and economics to better understand financial decision making. He shows why we often misunderstand risk and why we tend to be overconfident about our investment decisions. Your Money and Your Brain offers some radical new insights into investing and shows investors how to take control of the battlefield between reason and emotion.